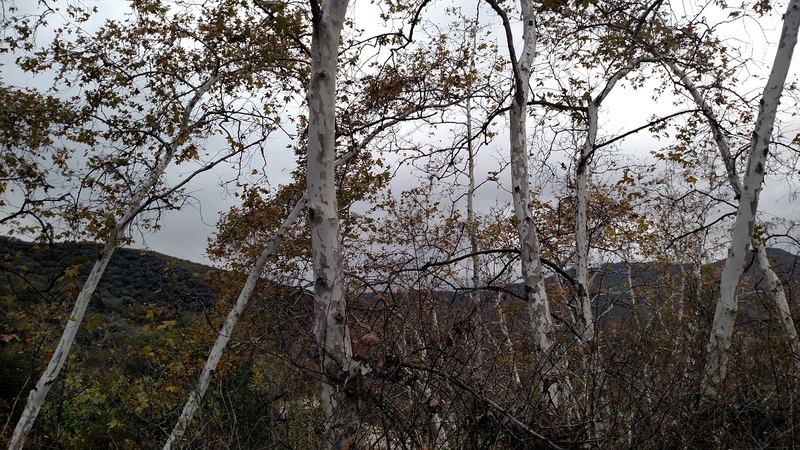 Location: Northwestern Santa Monica Mountains, south of Agoura Hills and north of Malibu. 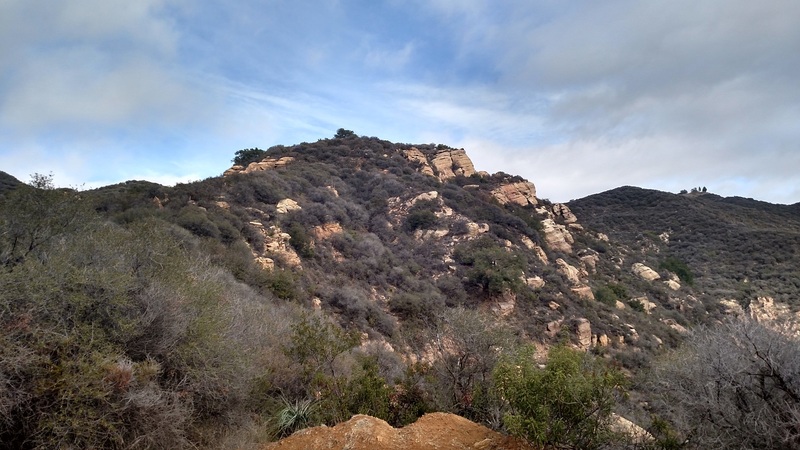 From Highway 101, take the Kanan Road exit and head south for 6.1 miles. Turn right onto Mulholland Highway and go 0.9 miles to a fork with Encinal Canyon Road. Continue onto Encinal Canyon Road. Trancas Canyon Road will be on the left in 1.3 miles. Park in a narrow dirt turnout with enough room for a few cars. From Pacific Coast Highway, take Kanan Dume Road north for 6.2 miles. Turn left on Mulholland, go 0.9 miles and continue onto Encinal Canyon Road. Alternately, from the Point Mugu area, take Pacific Coast Highway to Encinal Canyon Road. Head north on Encinal Canyon Road for 7.2 miles to the dirt turnout which will be on the right. 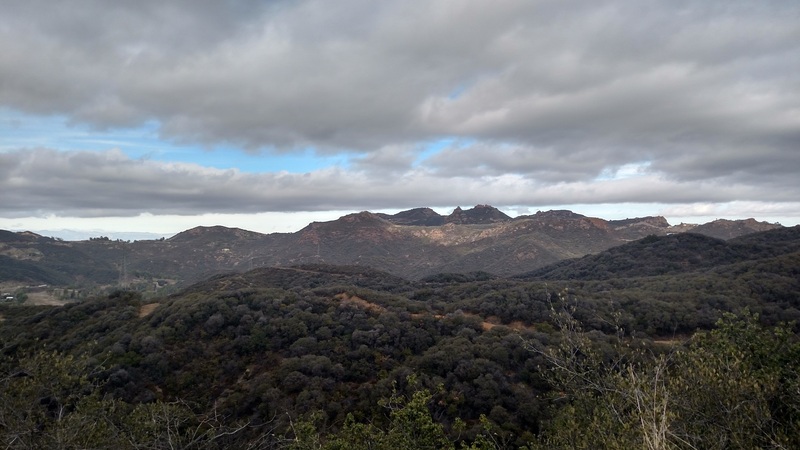 Like neighboring Zuma Ridge Motorway, this fire road gives hikers a chance to explore one of the more remote areas of the Santa Monica Mountains. Because this route primarily travels along a western facing slope rather than the ridge, the views aren’t as wide-ranging, but the steep ridges of Trancas Canyon block out much of the noise of the outside world. Adding to the isolation (I literally heard crickets on this hike) is the fact that, unlike Zuma Ridge, this route doesn’t extend all the way down to the ocean, making it less inviting to mountain bikers and hikers who have set up a shuttle for a one-way route. This means too, of course, that once you’ve reached the bottom, the only way is back up; the majority of the elevation gain (about 550 feet) is on the return. 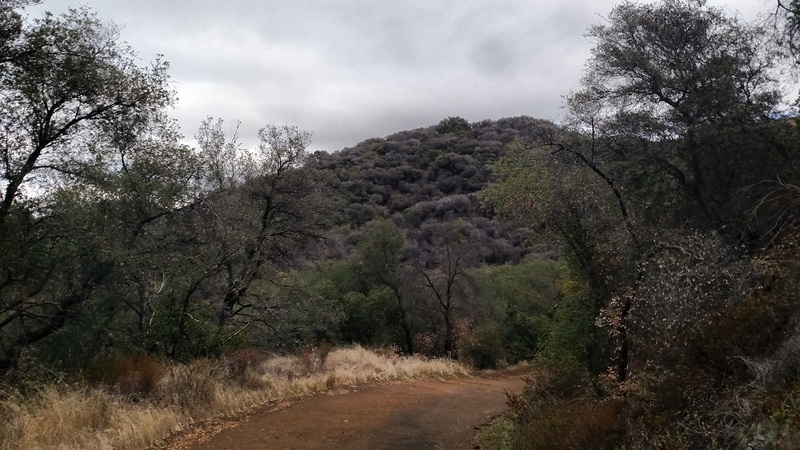 From the narrow turnout on Encinal Canyon Road, pass by the gate and begin a steady climb of a quarter mile to a junction with the Backbone Trail (heading west toward Trancas Canyon). The fire road makes a sharp left turn, passes another junction with the Backbone Trail (heading east toward Zuma Ridge Motorway; this newly annexed portion of the Backbone is one of the segments that has made it continuous). The road then dips into a ravine where oaks and sycamores provide the only significant shade along the route. At 0.6 mile from the start, you begin a steady ascent. Views of Boney Mountain and the distant Topa Topa Bluff to the north are only slightly impeded by the power lines running along the canyon. Stay left at each of several junctions with service spurs leading to the towers. At 1.3 miles, you reach the high point of the route where you get your first ocean views. If it is a warm day and you don’t want to make the long climb back up from the end of the road, this is a good turnaround point. From here, the trail begins a winding descent, dropping 500 feet in the next 0.9 miles. At a hairpin turn (2.2 miles) you’ll get your best ocean and canyon views of the route. This is a good spot to turn around, but for those who like to do things to their completion, the trail continues another 0.1 mile northwest before ending at the base of a tower.